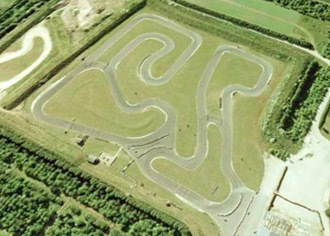 Ancaster Karting has grown steadily since 1991 and is now one of the largest kart tracks in the region. The circuit itself is effectively two tracks back-to-back to allow for its many customers to race at the same time, but can be run at its full 1200m length for large or corporate race meetings. Northbound from the A1 follow the B6403 to Ancaster and the track is clearly signposted, or southbound from the A1 take the A17 to Sleaford and turn right at the B6403 and follow the signs. 45 minute open junior session (non-exclusive) min height 4' 2"
Three laps practice, three laps qualifying followed by a non-stop 15-lap race on the full 1200m International Circuit. 8-laps qualifying to determine your grid position then a non-stop 30-lap race. Three laps practice, three laps qualifying followed by a non-stop 25-lap race on the full 1200m International Circuit. Ideal event for groups of 10+. Practice, three 10-lap qualifying heats plus a 15-lap final. 8-laps qualifying to determine your grid position then a non-stop 45-lap race. An adult-only event. Practice, three 12-lap qualifying heats plus a 20-lap final. 8-laps qualifying to determine your grid position then a non-stop 55-lap race. 8-laps qualifying to determine your grid position then a non-stop 75-lap race. An adult-only event. Qualifying to determine your grid position followed by a non-stop 2-hour relay race. There are conference facilities for 40 - 50.